Okay, it's been a while since my last post, I've had this installed for quite a while, but unfortunately haven't had time to write this out before now. You do any of the procedures explained here at your own risk. I assume no responsibility for fried electronics, house fires, blown MOSFETS and/or anger issues that might arise from improper wiring. There may be errors here, so heavy usage of sanity is strongly suggested. What is the Megatorics V3.0? 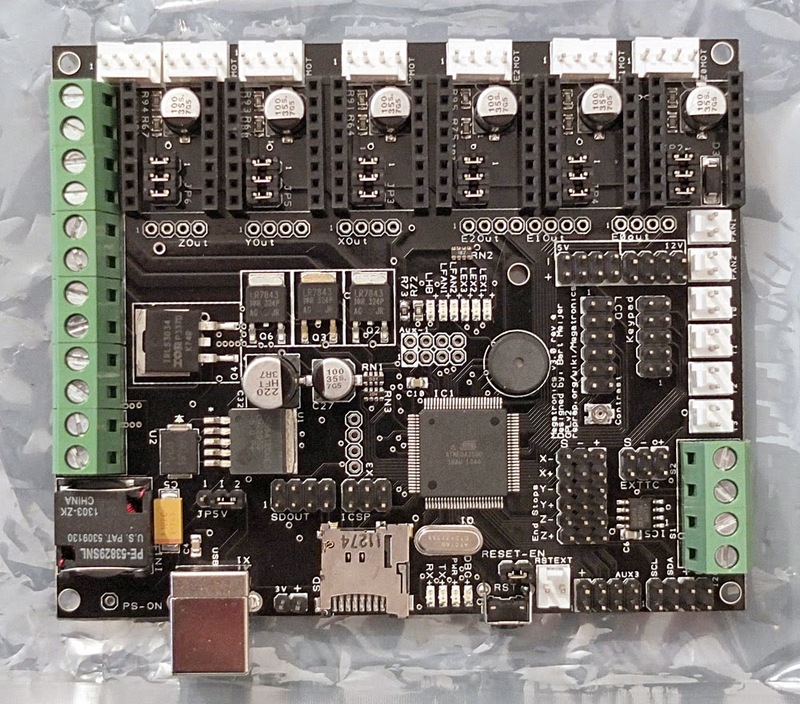 The Megatronics V3.0 is the latest version of RepRapWorld's 3d printer electronics, designed to be a single PCB solution. 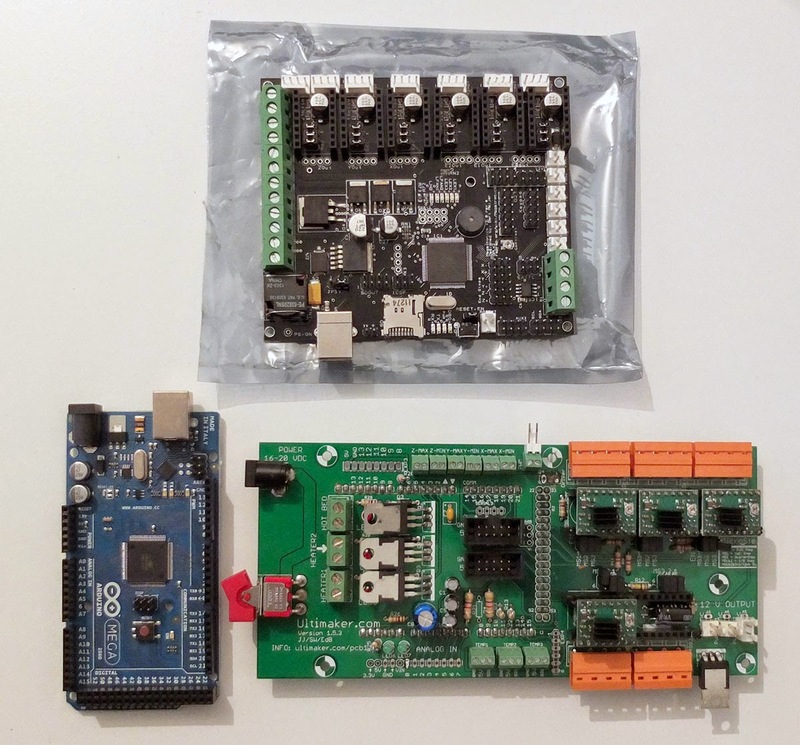 The usual approach in the beginning of RepRap development was to use an Arduino board, and hook it up with a shield of sorts, which then interfaced with the printer's components. However most of the newer electronic designs tend to have the Atmega chip on board. 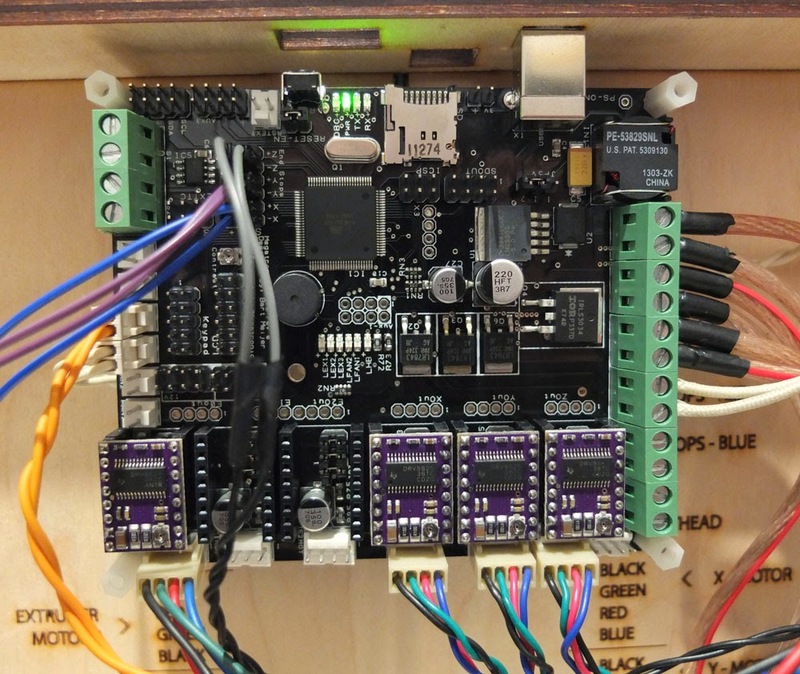 There is another thing worth mentioning - there are two distinct types of "single board" printer electronics: those with integrated stepper drivers, and those which use external ones. I must say I prefer the latter. Using external stepper drivers makes them easily replaceable in case something goes wrong, and also with some boards (like this one) you get the option of using different stepper drivers instead of just the common Allegro chips. Namely, you can use Texas Instruments' DRV8825 or DRV8824 drivers, which can supply more current, and the boards have better thermal dissipation than the A498X-based boards. Also DRV882X boards support 1/32 microstepping. So, since I managed to fry my old UM V1.5.3 electronics twice in a single week, I decided it was time for a newer, better solution. My orders from RepRapWorld have always been quickly delivered, with very fair shipping prices so hats off to them for that. The board arrived well packaged, with no instructions or documentation, since it's all online. Before installing I recommend printing out and carefully reading the Megatronics V3.0 Datasheet and Quick Start Guide. The first thing I did was rip out everything from the bottom of my UM. Then I made a simple CAD template for the Megatronics' mounting holes so I could drill them out. I aligned the template so that the USB port aligns with the original USB port hole. That way you can't really use the integrated microSD card without cutting out a piece of the UM's side panel (I wasn't intending to do so anyway). But, you can easily reach the board's reset switch, so that was good enough for me. The Megatronics' USB port is a tiny bit wider than the UM's stock one, so if you want it to go through the hole you must first widen it somehow. I decided it was okay if it didn't go through, since that gives you a bit more space when working with the pins and connectors on that side of the board. With the template in place I drilled the holes and used four sets of bolts, spacers and plastic nuts that held the original electronics to mount it. In the end I didn't use the fifth hole in the middle of the board, it seemed unnecessary. 1. Downloaded and installed the modified Arduino IDE which supports Megatronics from HERE. 2. Plugged in the board via USB. 3. Used the Arduino IDE to install the test firmware found on the product page. 4. After making sure everything was in order I installed Marlin, also found on RRW's software page. 5. Connected to the board via Pronterface, to confirm Marlin is running properly. Note that before uploading Marlin you will most probably need to tweak some settings in the configuration.h file. (such as motor direction inversion, steps per mm, acceleration, jerk etc.) It would take too long to go into firmware specifics here, but I could write a short tutorial in the future if there will be interest for such a thing. 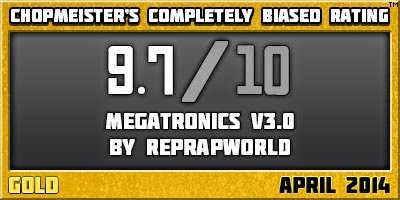 Also note that the recommended baud rate for Megatronics is 115200! Please note that the Megatronics board has no power switch! You need to have a power switch on your power supply! Disconnect the USB cable from the board, take care your PSU is also switched off and disconnected from the mains! You can choose where the 5V power for the processor will come from via a jumper. It can either be from the USB cable (so you can upload firmware/connect to the board with the PSU off) or from your PSU (in which case the PSU must be on to connect, but you can also print from SD without having an USB cable connected). You can use a 12V or 24V PSU. I suggest using 12V if you are not sure what you are doing. With a 24V PSU all the outputs from the Megatronics will also supply 24V so take care. 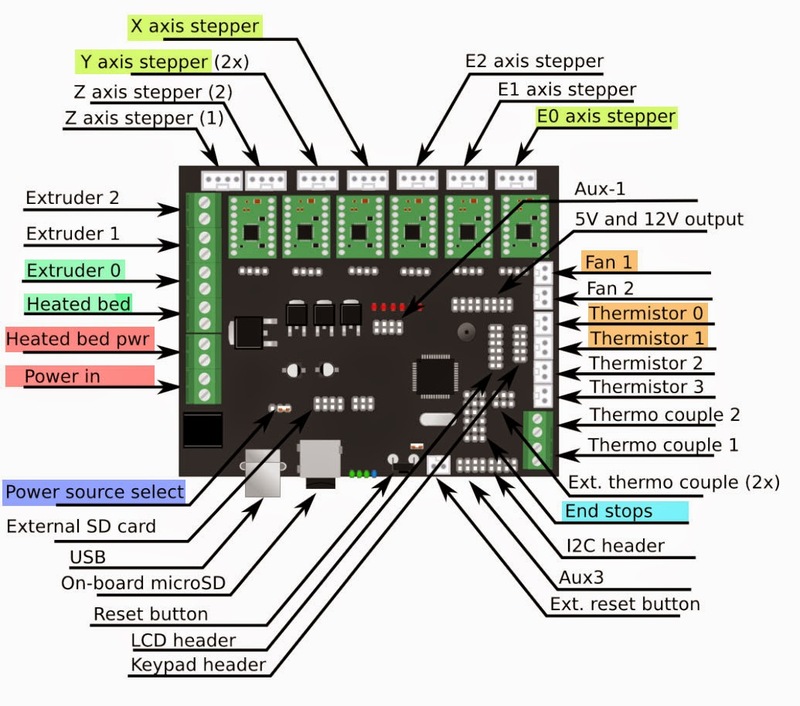 Setting the current on your stepper drivers is not for the faint of heart. There's lots of info on that around the Web so find it and read it all! Different drivers are adjusted in different ways. Never touch the stepper driver pots while powered! 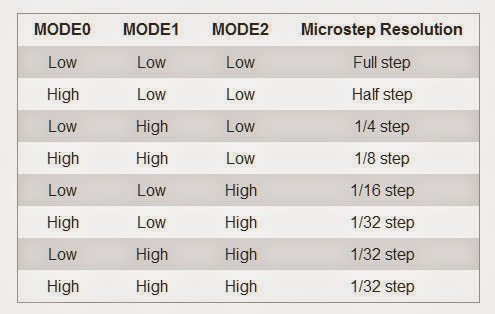 Your extruder and X and Y axes should be set to 1/16 microstepping, and the Z axis to 1/8. 2. Connect the motors. In case your motors (like mine) don't have the appropriate female connectors, you will have to buy some, taking care to connect the wires to them in the proper order, as shown below. 4. 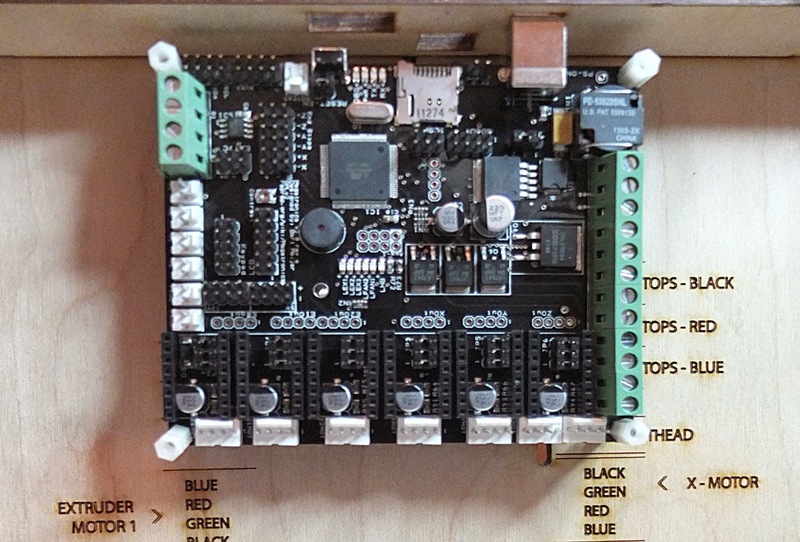 The Megatronics board has 2 outputs for the print head fans. I only use one so I plugged it in the FAN1 socket, just beside the E0MOT stepper driver. 5. Plug in your hotend thermistor or thermocouple into the appropriate port (T0 for a thermistor or S1 for a thermocouple). I've switched from using UM's thermocouple to standard thermistors a while ago since the little amplifier board always got in the way of my designs somehow. Anyway, even if you are using a thermocouple you don't need that board anymore, just connect it to the S1 input. (Bear in mind that I don't know how well that would work since I have not tried, and I'm not sure if there will be too much interference from things like the printhead fan to use the thermocouple at all). 6. If you have a heated bed, connect its thermistor to T1. 7. 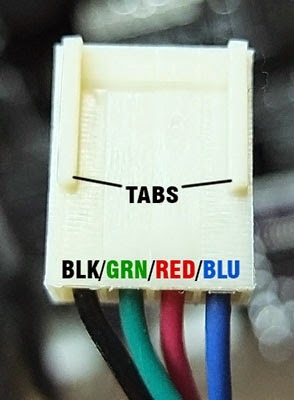 Connect your heated bed to the "HB" terminals. AFAIK, most Mk2 heated beds don't care for polarity, but others might, so take care. 8. 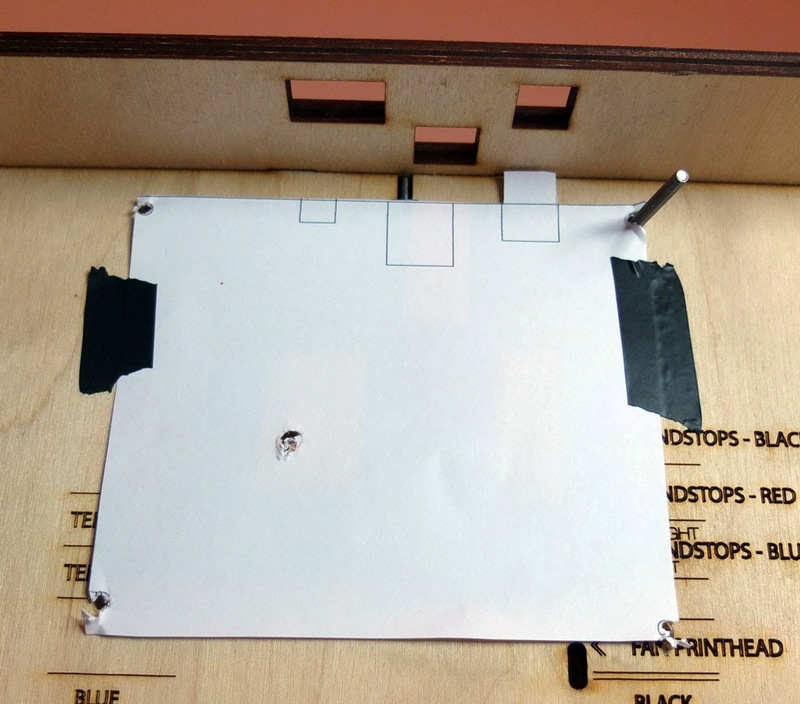 Connect your hot end heater to the "E0" terminal. 9. Connect two 12 V outputs from your PSU to the "PWR" and "HBIN" terminals minding the polarity. 10. Check everything is connected properly. You are now ready to turn the printer on. If everything is okay, there should be no white smoke, no funny smell and no fire. If any of those symptoms are present you've done something very wrong. To sum it up in one short sentence: I think this board is awesome! This board's feature set is more than good enough for all but the most hard-core experimenters out there. Also I got to ditch the UM electronics fan, and get rid of those pesky little heatsinks which kept falling off by switching to DRV8825 drivers. It has additional 5V and 12V pinouts for all sorts of stuff you want to attach to the printer (like additional fans for cooling the motors and such). I especially like the small form factor which enabled me to put my PSU under the printer, but I did have to print some feet to raise the printer a bit since the PSU was a bit too thick. It has status LEDs for all sorts of stuff so you can quickly check what's working and what isn't. I see no major flaws when compared to other boards of its kind. If you don't want to use the included microSD, it's easy to wire up an external one and place it where you want. It's also easy to attach an LCD (like this one for example). The only little bad thing here is that there is no power switch, but that actually makes sense since the board was meant to be used with more powerful power supplies which can supply the heated bed along with the rest of the printer, and which should have power switches on themselves anyway. One could argue that it isn't an ARM-based 32 bit board like some that are starting to show up, but I don't think that's so bad, because this works out of the box, and ARM based boards still have ways to go firmware-wise. All in all, I give it a CCBR(TM) rating of 9.7 out of 10 and a shiny gold medal, because to my amazement one can do such things when one has a blog. I should have started blogging earlier, 'tis fun! If you have suggestions, comments, or have found errors somewhere here, let me know!